It is said that a plausible definition of madness is to make a mistake, then to repeat exactly the same train of events but expect a different outcome. The interminable Brexit saga has displayed elements of this repetitive mulishness, though that might be unkind to mules. We have lost count of the trips that U.K. Prime Minister Theresa May and her team have made to Brussels or Strasbourg pursuing European Union political leaders, hoping to persuade them to amend the divorce deal they had already agreed to, all because she could not get it through the House of Commons. On March 20, Mrs. May asked E.U. 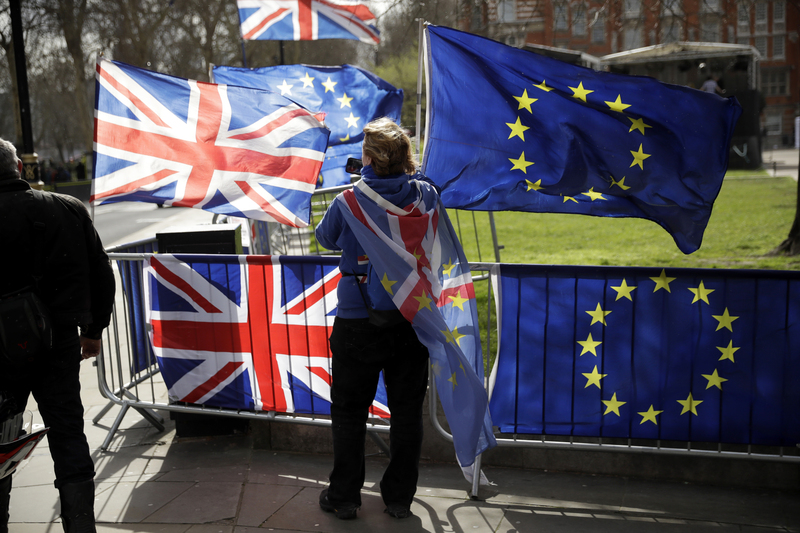 leaders to postpone the official split from March 29 until June 30, to avoid a “hard Brexit” without a formal agreement or transition period, but the E.U. responded by saying they would grant the extension only if Parliament approves the twice-rejected Brexit deal next week. It has seemed that the London government has repeatedly carried onto the Eurostar channel tunnel train the same message in the same briefcase, basically begging the E.U. to change aspects of the settlement in order to placate both the right wing of the Tory Party and the 10 Democratic Unionist M.P.s from Ireland, upon whom Mrs. May’s government relies for parliamentary survival. Northern Ireland and its border with the Irish Republic—and therefore post-Brexit with the E.U.—has been, as I predicted many months ago, the intractable issue that may yet wreck the entire process. A similar obduracy has marked the government’s approach to gaining parliamentary approval for the negotiated deal. It had to hold a “meaningful vote” on the withdrawal bill, but the first vote, scheduled for December, was postponed when a loss seemed imminent. They tried again in mid-January but lost 432-202, the biggest defeat for a government in modern British history. Rather than resign, a reasonable expectation in normal times, the prime minister continued as if the vote had never happened. It happened all over again in early March when, with less three weeks to go before the E.U.’s then-deadline for an agreement, Mrs. May lost again, this time by 149 votes. Other parliamentary embarrassments followed, mostly related to the Irish question and the threat to 1998’s Good Friday Agreement and resultant peace if there were a return to a hard border. In one chaotic evening session, the Brexit Secretary Steven Barclay, who has now survived in that post for four months, managed to advocate one position on the floor of the House and, moments later, vote against that proposition. Mr. Bercow’s spectacular and explosive intervention cited precedent dating from 1604, which the reader will not fail to note was just before the Gunpowder Plot. One Twitter user could not resist reporting that right-wing Tory grandee and arch-Brexiter Jacob Rees-Mogg declared that he opposed the parliamentary rule then and would oppose it now. Mr. Bercow has been a controversial figure. One could argue that you should not notice the speaker in Parliament; his should be a light touch. Something has gone wrong if the referee in a football or rugby match gets the headlines. The office is thought to date back to the 14th century, but seven of Mr. Bercow’s predecessors had their heads chopped off. By long tradition, the speaker, although an elected M.P., is not partisan and represents only the traditions and procedures of Parliament. What has emerged is a constitutional conflict between the sovereignty of the people, or at least some of them, and the sovereignty of Parliament—the mixing of a referendum with parliamentary electoral democracy. Parliament is being asked, according to Vernon Bogdanor, a leading constitutional expert, speaking on BBC Radio’s national news, for the first time in history to enact something that it does not believe in. Both major English parties fought the election saying that they would respect the result of the original referendum, a pledge that now looks rather foolish, not least because 63 percent of the voting population (including nonvoters) did not cast a ballot for Brexit as it now stands. No attempt was ever made to look for a cross-party consensus on this question—a failure that looks bizarre to most of the E.U. 27 governments, where compromise and consensus is a normal, indeed unremarkable feature of governance. They embrace versions of proportional representation; we persist in a first-past-the-post arrangement. Our adversarial system bewilders the consensual method used across the channel. Here, it often has looked that the various conditions and “red lines” laid down by the different parties and factions within the parties were almost deliberately designed to be unattainable or unacceptable across the board. The influence of those Ulster Unionists is germane, first supporting then threatening to withdraw that support if anything was even whispered about treating the Six Counties in any way differently from the rest of the current United Kingdom. If the Tory government led the U.K. into this chaos (a word that the prime minister finally uttered after the Bercow intervention), those 10 Ulster members made it possible. Scottish and Welsh pols are furious over what they see as their disproportionate influence, not least because those 10 do not represent a majority of the Northern Irish populace. It is an acute form of madness that ties the prosperity and the very future of the entire British state to an inflexible, stubborn anti-policy. But with a worst-case-scenario Brexit only days away, our government looks like it is just going embrace that madness and see what could possibly happen next. where is Shakespeare when we need him? At the very least he might add some class to the joint. maybe add a "joint" to the class. Never ceases to amaze me that the Brits don't understand the diff between Napoleonic "civil law" and Burkean "common law" The gulf is too wide to cross without drowning. If a big bunch of MPs in a little kingdom are so conflicted and disagreeable, why would anyone prefer a larger bunch in a huge kingdom of Europe? a very good explanation, however, being united can be good but these days most of them want to divide and rule, somehow due to arise of lack of care for certain communities or parts of people and growth at limited places, it is making to take these kind of decisions.